Feed-chuting is commonly used for feeding fasteners, washers & other parts to automated assembly equipment. The Spiratex Co. will design your “chuting”, and will guarantee this pathway will keep the part in correct formation and alignment from the supply to the fastener. 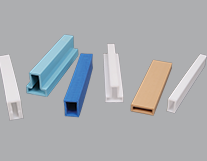 We can make this guarantee as we have perfected the manufacturing process to make the inside of your square or rectangular tube smooth. 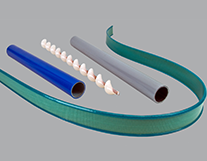 The Spiratex Co. manufactures feed-chuting in several different materials. 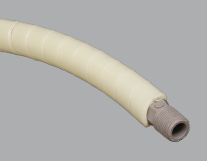 If you need to see your parts in the chute, we can extrude polyurethane and Flexible PVC. Both of these materials will require air to move the part through the through the chute. 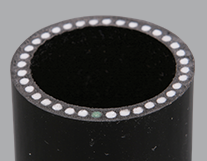 Polyurethane is more abrasion resistant than FPVC. 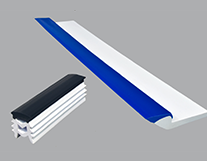 Both of these materials are highly flexible. 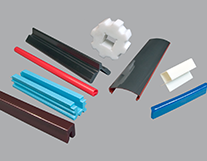 If you need to only use gravity to feed your fastener, we can extrude UHMW-PE and LDPE. 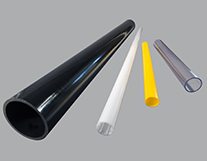 Low-Density Polyethylene will provide a more flexible path than Ultra-High Molecular Weight Polyethylene. The UHMW will wear longer.